Full 60-1 (aka T04S) Turbo w/P trim T4 (550HP). Garrett full 60-1 (aka T04S) Turbo with P trim wheel and T4 (Specify) A/R turbine Housing. T04S .70 compressor housing with 4 inlet and 2.5 outlet. Journal bearing unit with oil cooling only - not watercooled. Great 550HP Turbo. 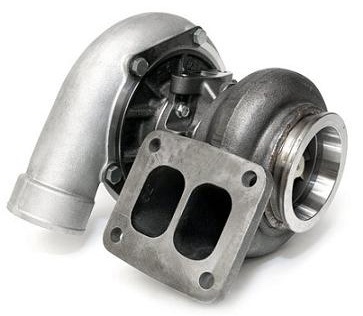 Turbine housing is standard T4 inlet and 3.0 v-band outlet, unless otherwise selected when ordering. Garrett factory assembled and balanced.